What Is The Risk That I Will Have Another Pulmonary Embolism? This is one of the most common questions that a patient has after a pulmonary embolism diagnosis. According to the book 100 Questions and Answers About Deep Vein Thrombosis And Pulmonary Embolism, if your blood clot occurred due to surgery or trauma, then the probability that you will have a second clot that may lead to a pulmonary embolism is very low. For people who had an apparently spontaneous pulmonary embolism, the probability is much higher. A person who has a clot without any known risk factors has a 30% chance of having a second clot within ten years. The probability of a clot is higher if you have thrombophilia, cancer, or any other risk factors for pulmonary embolism. The best treatment for pulmonary embolism is prevention. In this article we will be reviewing methods to prevent venous blood clots like a pulmonary embolism or DVT. Often you will see this referred to as "blood clot hygiene". As you read, you will find out that blood clots are very easy for most people to avoid. Even if you have a number of risk factors, you can take steps that can significantly lessen the chacnes or getting a clot. These tips can be used by people with or without any type of clotting conditions. You can use them to avoid having your first clot or your fifty-second clot. Discuss this information with your doctor and share it with friends and neighbors. Lets do what we can reduce the number of people that are impacted by this deadly disease by learning about and sharing blood clot prevention techniques. In order to prevent a pulmonary embolism, one should start by understanding the things that put a person at an increased risk of this type of clot (a venous thromboembolism). Before we get into that information, make sure that you have read Pulmonary Embolism and Blood Clotting 101. These articles will help you to fully understand pulmonary embolism risk factors. Can I Have Another Pulmonary Embolism Or DVT While On Anticoagulation? Unfortunately, the answer is yes. Anticoagulation therapy (warfarin, Lovenox, heparin) greatly reduces the possibility of clots but it does not totally prevent your body from forming clots. This is a good thing because if you cut yourself, you want a clot to form in order to stop the bleeding. 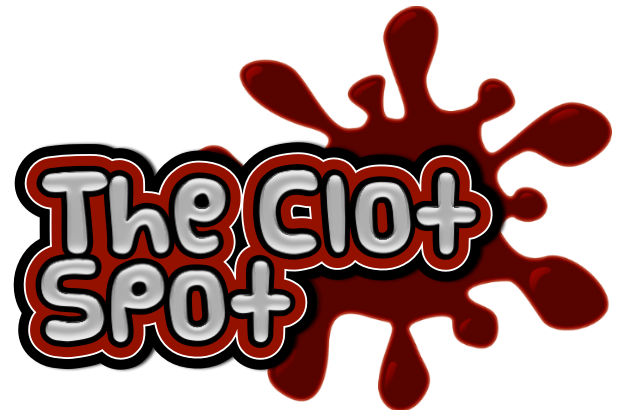 The risk of a clot is MUCH lower while on therapy; however, if you think you have an additional clot, go to the emergency room immediately. They will do some testing to rule out the possibility of new clots. Having a clotting condition (thrombophilia) such as Factor V Leiden, Protein C Deficiency, or APS. This list of four types of risks can then be divided into things that we have control over and the things that we don't have control over. Movement is one of the best things that you can do to prevent clots. Anytime that you are sitting still for over two hours you are at a much greater risk for a pulmonary embolism. If you have an office job or a driving job, make sure to take breaks to get up and walk for a bit. If you are traveling long distances, set a timer for two hours and get out of the car to walk and stretch. If you have a GPS, it may over driving break suggestions. TomTom units all have this feature and can be found in the Clot Spot store. Using hormones can cause blood clots. Combined oral contraceptives, hormone replacement therapy, and some hormone therapies that are used to treat certain cancers can all be a problem. Use extreme caution when it comes to hormone use. Click here if you need more information about birth control after a pulmonary embolism. Graduated compression stockings can help to prevent pulmonary embolisms. You can wear them while you travel, when you will be stationary for periods or time, if you are on the hospital, and sometimes even if you have surgery. There are different strengths of these stockings. Most people need the low to medium strength stockings. Make sure that they fit well and do not bind or restrict blood flow. If you want the best fit, see if there is a home medical equipment provider in your area that carries and fits these stockings. Speak to your doctor if you have questions. You can find graduated compression stockings in our store. If you see possible signs of a deep vein thrombosis, do not touch that vein. Go to the emergency room. Loose weight. Excess weight can cause many health problems including pulmonary embolisms. Stop smoking. Smoking increases the risk of pulmonary embolisms and other blood clots.